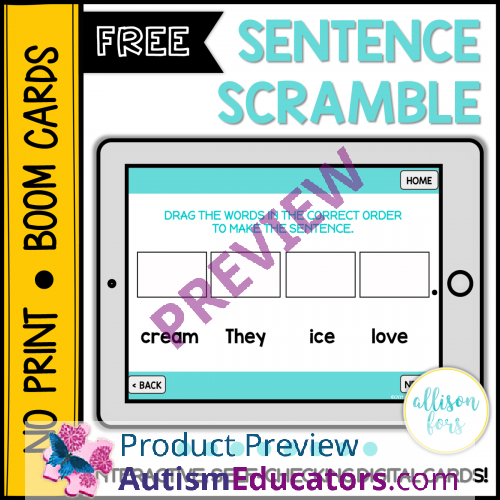 Unscramble the 3-6 word sentences! Work on syntax, grammar, and sequencing by dragging and dropping the words in correct order. 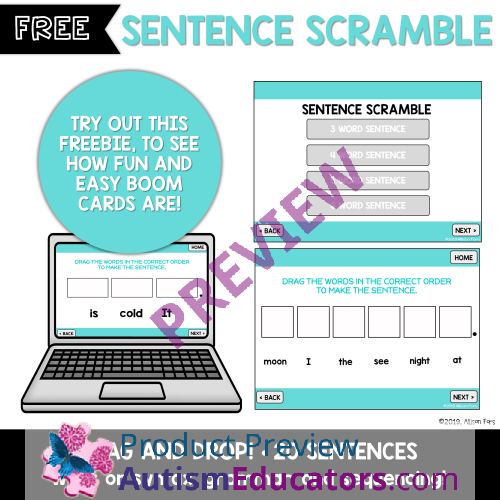 Each category contains 5 cards for a total of 20 sentences. 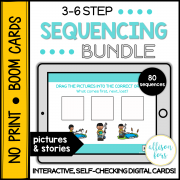 To see how Boom cards work, try out this freebie! 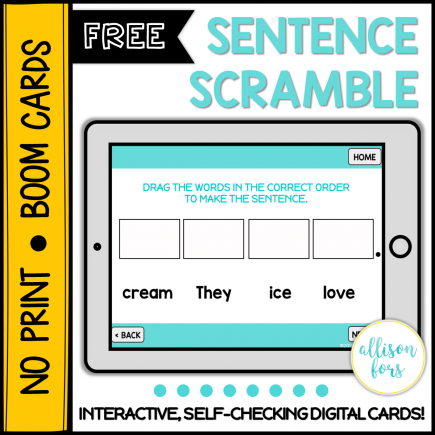 Boom cards are digital task cards that you play on the Boom Learning website. They are easy and fun to use! You will receive a link to the task cards on the Boom Learning website when you download this resource. You will be asked to sign into your account or create a free account. All purchased decks can be found in your Library. Boom Cards are accessed and used on the Boom Learning website. There is no need to download, save, or print. To use Boom Cards, you must be connected to the Internet. Boom Cards play on modern browsers (Chrome, Safari, Firefox, and Edge). Apps are available for Android, iPads, iPhones, and Kindle Fires. Use this resource on a tablet, computer, or Smartboard! Given words placed in random order, STUDENT will move the words within the correct positions in order to form a complete sentence, with 80% accuracy, in 4 out of 5 opportunities, by MONTH, YEAR.